Don’t we all love it when we have longer days, enjoying more daylight, when we can finally feel the summer breeze on our skin and actually sit in the park for hours to see the sunset? Well imagine all that plus watching an epic movie outdoors on the big screen. Luna cinema is back with an amazing movie line up. From Oscar nominated and Award-winning blockbusters to cult classics. 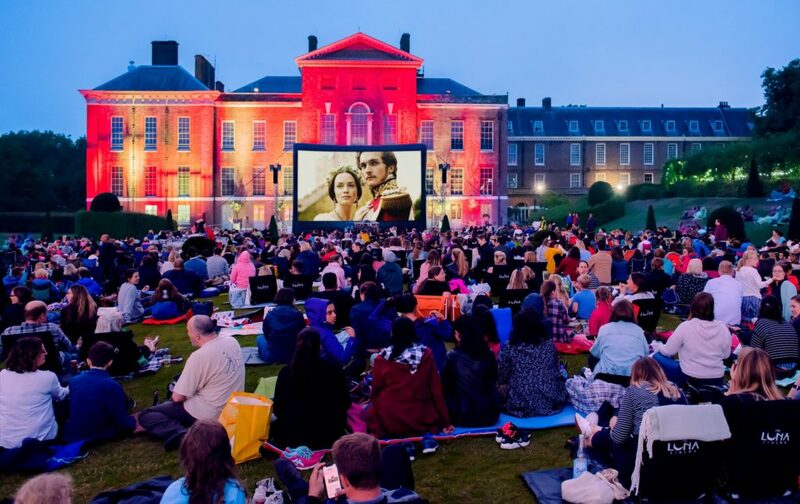 The most talked about, open-air cinema is literally a month away, film fanatics will be spoilt for choice, with 175 outdoor screenings to pick from, trust me when I say they won’t be your regular park settings but some of the UK’S most prestigious and historical sites. That’s right we are talking… Kensington Palace, Westminster Abbey, Hampton Court, Leeds Castle, The Royal Botanic Gardens in Edinburgh, the Old Royal Naval College in Greenwich, Wrest Park in Bedfordshire, Marble Hill in London, Anglesey Abbey near Cambridge, Castle Howard in Yorkshire, Thorpe Park (new for 2019) and many more. Movie lovers will be amazed and excited by the thrilling choice of films Luna cinema have lined up for their summer season. Expect to see a breath-taking performance from Lady Gaga and Bradley Cooper in A Star Is Born, plus the multi- award winning Bohemian Rhapsody with the stunning Oscar performance from Rami Malek in Queen. Musical fans you can enjoy The Greatest Showman, Mamma Mia and Mary Poppins Returns (just to name a few). Although there are a lot of recent box office hits, Luna Cinema will also be including cinematic throwbacks and cult classics such as, Some like It Hot, Grease, Moulin Rouge and Pretty Woman. A highlight of the open-air cinema includes watching Mary Poppins Returns under the iconic view of the houses of Parliament at Victoria Tower Gardens. You can bring your own picnic or you can grab something to eat from their street food vendors and their bar on site. You can purchase Premium tickets, which allows you to have a branded director’s chair in a prime position in the arena, plus fast track access and a complimentary drink at the Luna Bar. Dates: May – September | Tickets can be booked here : www.thelunacinema.com Ticket prices range from £15.00 – £17.50 for adults and from £9.50 – £13.50 for children.